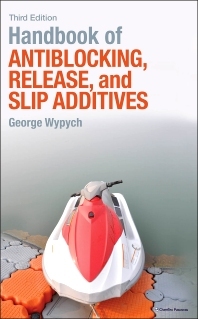 This handbook, now in its third edition, is the only comprehensive reference available on the subject of antiblocking, release, and slip additives, which are of high industrial importance. These additives are used to alter the properties and performance of polymers: minimizing adhesion, aiding separation, and improving the efficiency and cost of processing methods. These characteristics make additives an important topic across the spectrum of industry sectors that employ plastics and polymers. Fully updated to include the latest research and additives, the book considers all essential aspects of chemistry, physical properties, influence on properties of final products, formulations, methods of incorporation, analysis, and effects on health and environment. It also provides a complete analysis of existing literature and patents. Processing is discussed in detail, including coverage of types and concentrations, the effect of the additives on the process and product properties, advantages and disadvantages, and examples of formulations. The combination of the data and performance analysis makes this book a very important source of information for industry research and development and academia. Enables productions chemists and engineers to improve efficiency and cost in processing of polymers. Provides critical information on the effect of additives on processing and properties, and assesses the advantages and disadvantages of additive use. Includes a detailed analysis of health, safety, environment, and regulatory issues, so readers can assess the risks.